The Aston Homes building experience is certainly a unique one. Our team specialise in building quality homes with a level of care and consideration that ensures they last a lifetime – this is what lifts us above and beyond our competition. To better acquaint you with our stringent building process, we spoke to one of Aston Homes’ Building Site Managers – Ernie Sellitti. 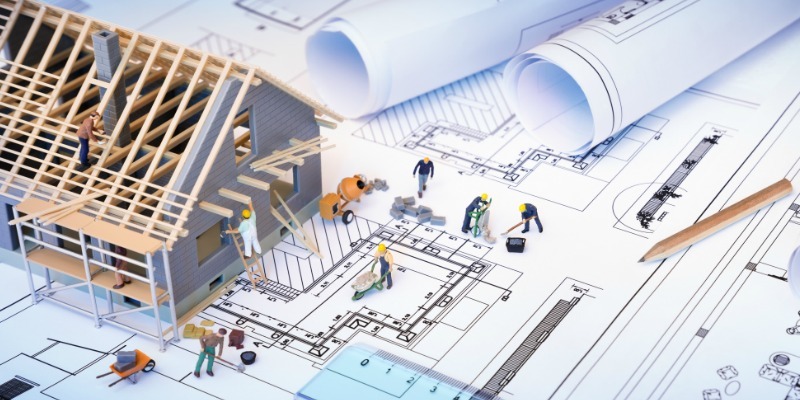 In today’s blog, Ernie highlights some of the main issues that can arise when building your dream home, and how Aston Homes address them. Ernie, what are some common issues that occur during the building process? Building a quality home starts with the foundations. If the foundations are laid well and the frame is built properly, the rest of the project will generally follow along the same path. At Aston Homes, we spend a lot of time on quality assurance, beginning at the slab and framing stage and continuing from there till hand over . If these initial build stages are not completed as per the plans and any defects rectified immediately, there will very likely be major problems down the track. The difference with Aston Homes is that we focus attention on each stage of the build, no matter how big or small. This helps us avoid big issues and delays during construction. A lot of supervisors unfortunately neglect to do this. Other areas where issues can arise are in the plastering and painting stages. To avoid this, we carry out thorough quality assurance checks after these works have been completed to ensure that they are at the standard we expect from our trades. What is a common mistake made by a rookie trades? Simply put, Aston Homes doesn’t hire rookie trades. We place high importance on working with qualified trades who we have built trust and a relationship with over a long period of time. In the wider industry, many supervisors hire inexperienced or poor-quality trades. Often these individuals don’t follow the plan – or think they know better! We have trades contacting us all the time as they’re aware of our reputation, but we are very selective with who we work with. This really shows in the quality of our builds. How does an experienced Site Manager improve the overall quality and finish of a home? As Aston Homes’ Site Manager, I have high expectations and build houses as if they’re my own or for a member of my family. If I wouldn’t accept the finished product myself, I don’t think our clients should either. A lot of supervisors don’t put themselves in the homeowner’s shoes and consider that this is somebody’s dream home or castle that they’re building. The home we’re building is perhaps a person’s biggest investment, and a huge milestone in their life. I am very conscious of this and it motivates me to build the best possible home I can for them – the same can be said for the entire Aston Homes team. Our focus is on delivering a high-quality home every time we build. Sometimes that also means waiting for the best trades to be available. Some builders are put under massive time pressure from higher management to deliver swift build times, this encourages corner cutting and bad hires. This isn’t our ethos at Aston Homes. At Aston Homes, we are one hundred percent focused on giving home owners the future they deserve. We believe in building trust-based relationships with our team members, our trades and our clients, and we have a genuine respect for the building process. That’s the Aston way. Get in touch with our friendly team to learn more about the Aston Homes difference.